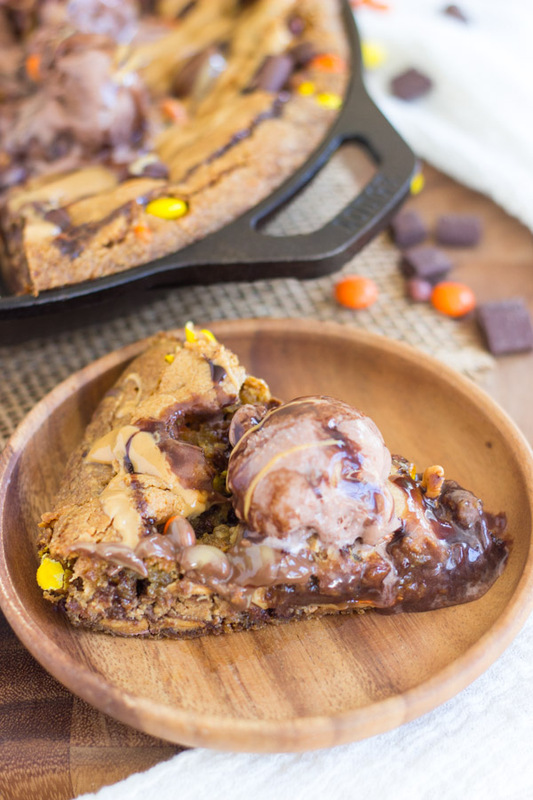 Peanut butter and chocolate come together in an ooey, gooey, soft, chewy, buttery, and brown-sugary skillet cookie perfection! 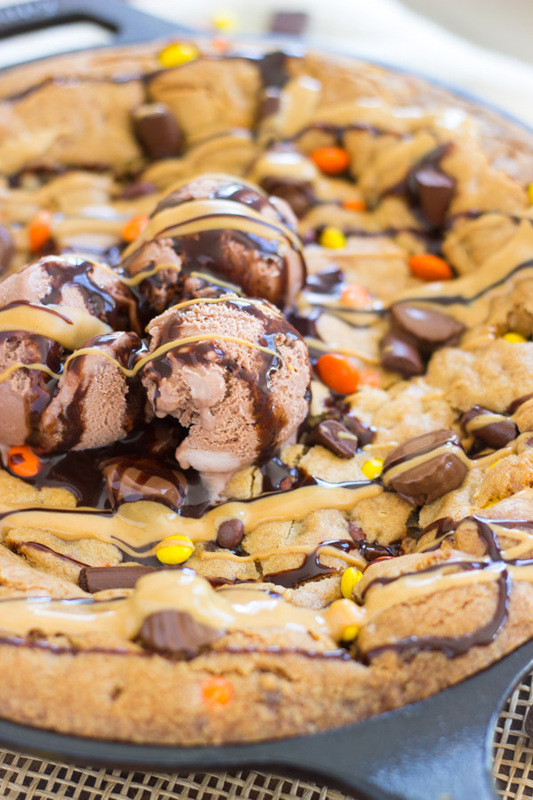 This peanut butter chocolate chip skillet cookie couldn’t be easier, and couldn’t be any more delicious. 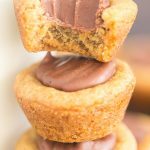 I have a good chocolate chip skillet cookie recipe that I love, but it needed to be peanut-buttered. Everything in my life always needs to be peanut-buttered. Skillet cookies seriously do ruin regular cookies in some ways. They are one of my favorite desserts of life. Because it’s one big giant cookie, you get so much more chewy, gooey middle in a skillet cookie than a regular cookie. 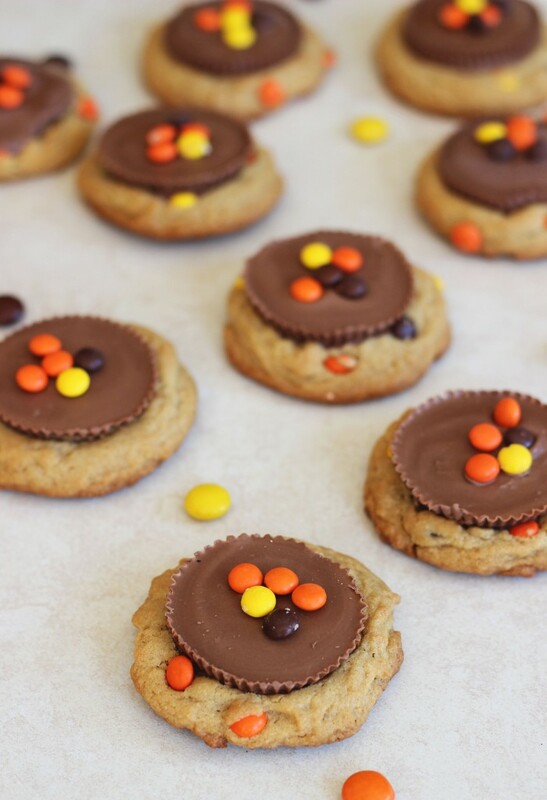 The best part of a cookie, in my opinion, is the chewy, soft center. I like some crispy edges too, and it’s got those, but the real heart of a skillet cookie is that the center takes up so much real estate, and is so thick, soft, and gooey. Better still, they’re a fraction of the work. 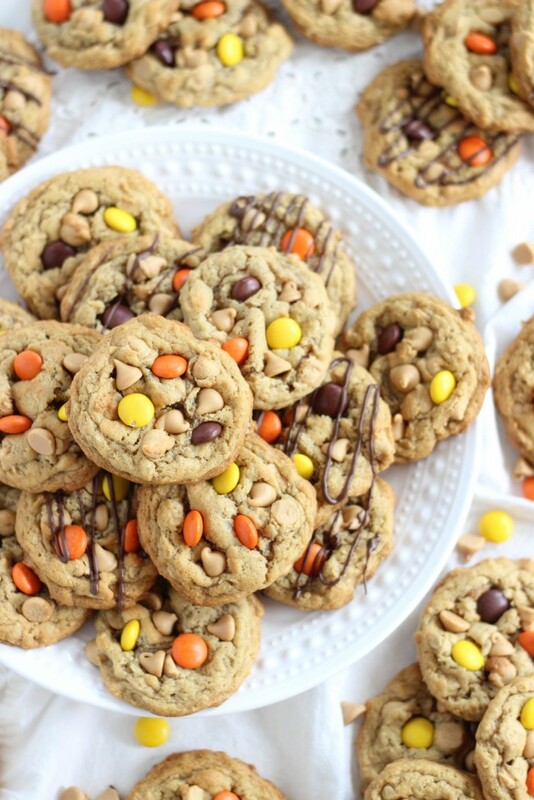 Drop cookies can be a drag because you’re constantly filling up cookie trays and then waiting 8-10 minutes for them to come out of the oven. Not with a skillet cookie. Spread the dough in the skillet, and you’re done with prep. 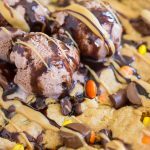 This Peanut Butter Chocolate Chip Skillet Cookie recipe whips up so fast, and it’s really just basic ingredients – staples that you’ll definitely have on hand if you do any amount of baking. Well, plus some Reese’s cups and Reese’s pieces. 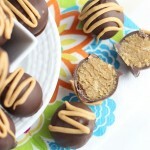 Those might be the only ingredients that you need to pop out for. 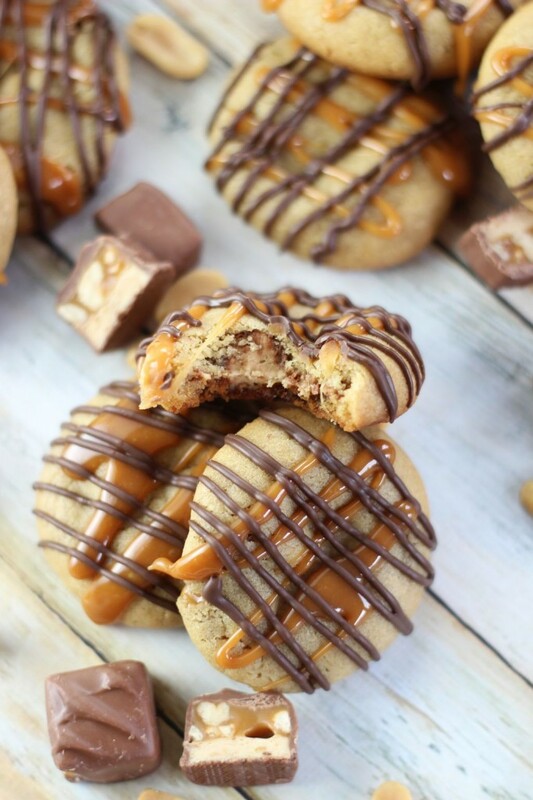 Unless you’re like me, and you have a full shelf in your pantry dedicated to peanut butter-related baking items. You don’t? I still love you!! 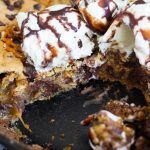 This Peanut Butter Chocolate Chip Skillet Cookie recipe is my latest go-to for when company is coming over. My in-laws came over for the Super Bowl a few weeks ago, and it was totally a last minute thing. I got the dough together in the skillet in about 10 minutes. 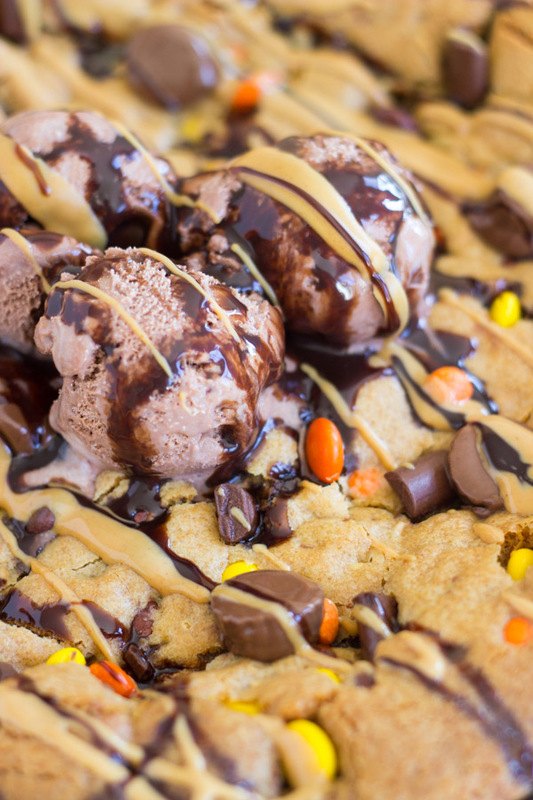 The cookie dough is chock-full of semi-sweet chocolate chips and chunks, peanut butter chips, Reese’s pieces, and there’s a layer of full-size Reese’s cups right through the middle. 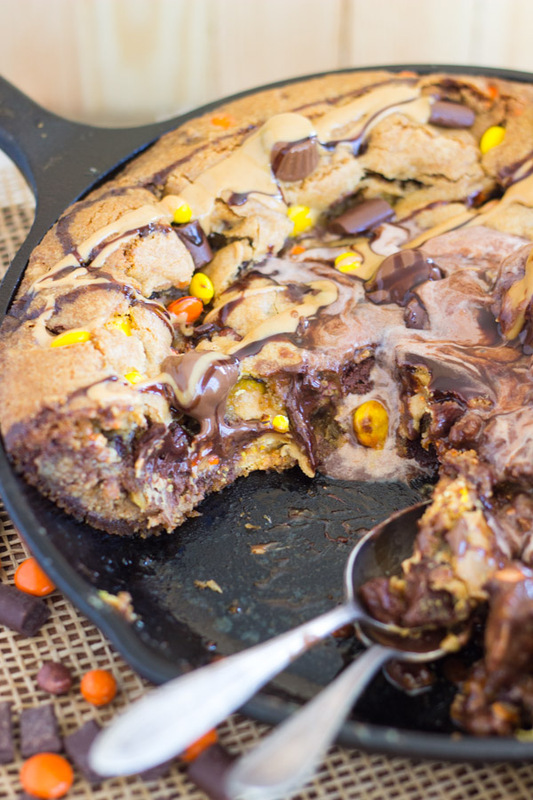 The center is even more ooey-gooey than a normal skillet cookie! It’s dangerously indulgent. 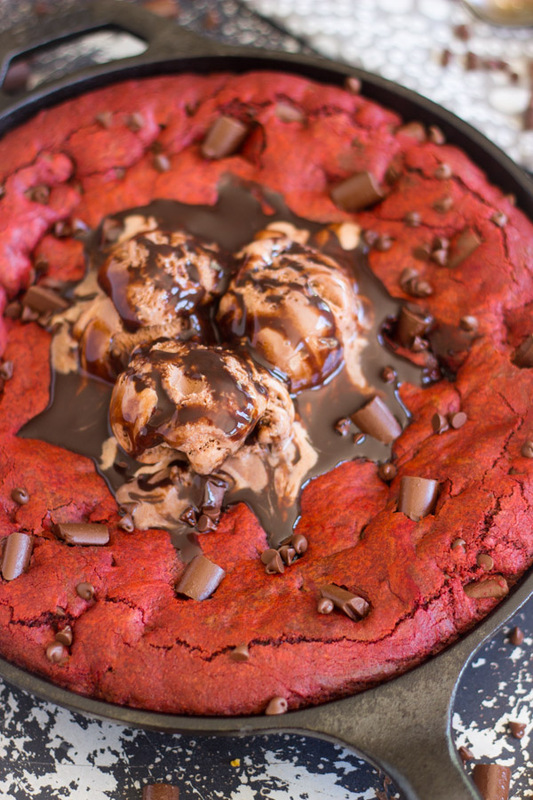 I adore this skillet cookie recipe. 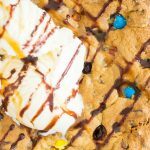 I can count on this skillet cookie to turn out right, to please a crowd, and to come together in a flash. 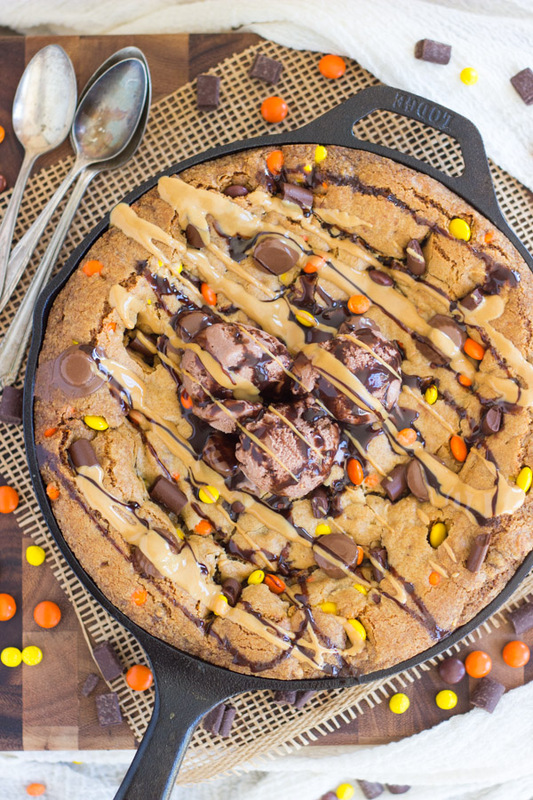 Peanut butter and chocolate come together in an ooey, gooey, soft, chewy, buttery, and brown-sugary skillet cookie perfection! It's dangerously indulgent! 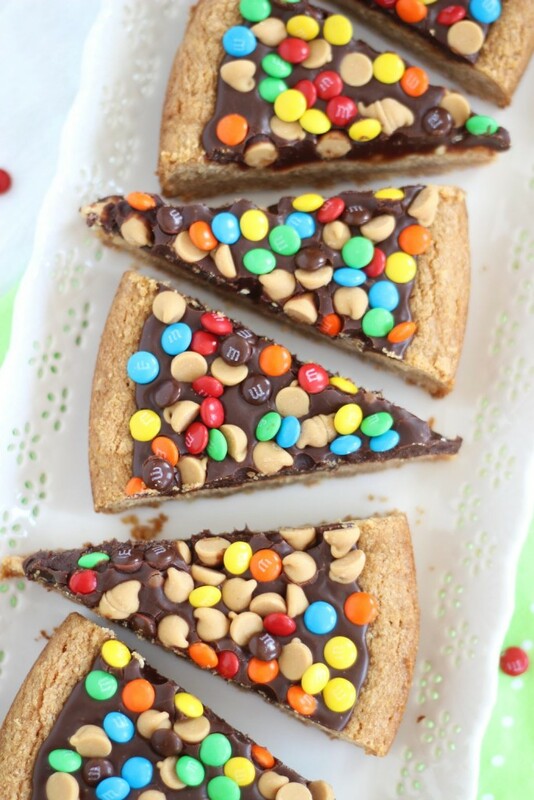 Fold in mini chips, chocolate chunks, peanut butter chips, and Reese's pieces. Spread half the batter into the skillet. 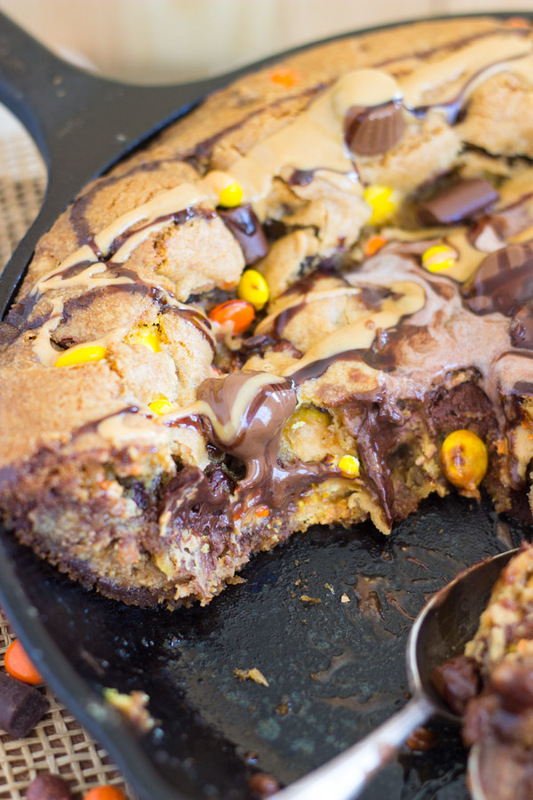 Lightly press the Reese's cups into the batter in the skillet. Cool for 15 minutes. Cut into slices. 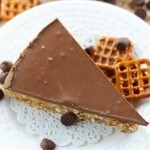 Serve warm with ice cream and chocolate sauce.